The just-concluded Ind­ian Science Congress (ISC) session in Jalandhar att­ra­c­ted widespread att­ention, though for the wrong reasons. Like its previous sessions, this one too had a fair share of absu­rd claims—falling in the realm of pseudoscience and mythology. Some such anti-scie­nce talks were delivered not by habitual off­enders but by those who occupy high acade­mic posi­tions. Even this is not surprising beca­use, in the past, even minsters have made comments mixing mythology with modern science. 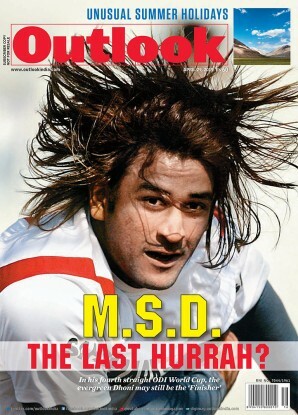 But it is important not to junk the idea of ISC just because of such aberrations. Anybody who has atten­ded ISC sessions would know that it is the only forum of its kind that brings together Nobel laureates, top Indian scientists, science bureaucrats, university teachers, researchers as well as college and school students under one umbr­ella. ISC sessions are a big affair, with over a dozen parallel sessions, several plenary talks, exhibitions and cultural shows. These sessions are inter-disciplinary and focus on science-society connect. Its parallel sessions in different disciplines of science provide an oppor­tunity to university teachers and students to present their work, along with scientists from national laboratories. Such intermingling of people from different disciplines and different levels of expertise does not happen in other scientific conferences. ISC is not the forum where new discoveries are announced or major research findings are presented, which normally happens in core scientific conferences. Basically, ISC is a mega science outreach event. Science outreach is crucial if we want to engage young people and attract them to science and research. The problem is not with the objectives, relevance or format of ISC sessions, but in their execution. ISC is organised by the Calcutta-based Indian Science Congress Association (ISCA), in collaboration with the host university. The event is heavily funded by scientific departments of the central as well as state governments. The selection of who will speak or present a paper is made by ISCA. This is critical. 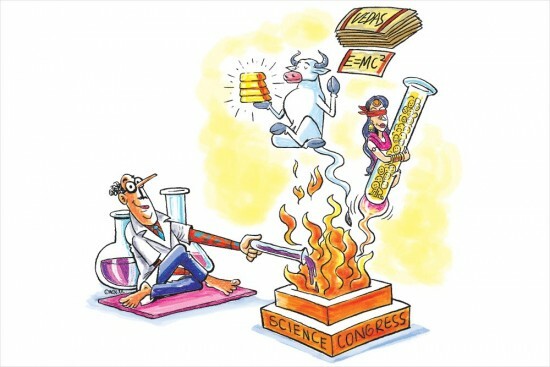 For several years, serious scientists have been asking organisers to ensure quality of papers presented in the congress. Normally, there should be peer review of papers and talks listed for any ISC session. Had such a system been in place, G. Nageswara Rao would not have been able to talk about in vitro fertilisation (IVF) and stem cell technologies being used in the mythological period. What is shocking is that Rao is not any run-of-the-mill weirdo seeking his two minutes of fame, but an award-winning scientist who sits on many government committees and has guided dozens of PhD students. He made the statement not out of ignorance but out of his conviction or, perhaps, keeping political gains in sight. This is dangerous and the ISCA must punish him for using its platform for pursuing his personal agenda. Government scientific departments, which fund ISC sessions, also can’t wash off their hands by saying that they have no say in how ISC sessions are conducted. It is very much their responsibility, too, to keep irrationality and pseudoscience out of the congress. It is important to keep the institution alive, but with necessary checks and balances. The format of the ISC too needs to be reinvented. Some states have been organising state-level science congresses, which are more focused. The one by the Uttarakhand Council of Science and Technology is a good example and worth emulating. Science outreach is crucial if we want to engage young people and attract them to science and research, and also bring science closer to society. That’s why a forum like ISC is important, notwithstanding the likes of Rao. “I don’t agree with Raghavan. The government is assoicated with the science congress because the only thing that differentiates it from every other scientific meeting in India is that it is inaugurated by the prime minister. The hoopla in the press is because it congregates due to the PM’s presence. Then, whether you like it or not, it becomes a government-sponsored affair.